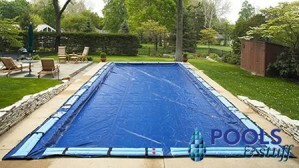 Pool Closing Kits - Free Shipping in the 48 states - Above-Ground and In-Ground Pools. 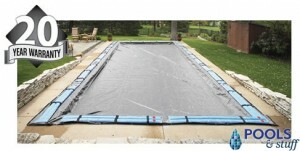 Good Winterizing Kits include the basic items to get your pool ready for winter. In-Ground kits include the Arctic Armor Winter Cover of your choice and Water Tubes. Above-Ground kits include the Arctic Armor Winter Cover of your choice and an Air Pillow. Choose from Arctic Armor Winter Covers with warranties of 8, 12, 15, or 20 Years. 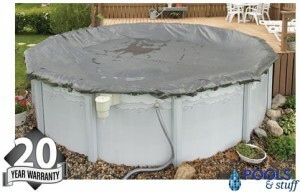 Better Winterizing Kits include the basic items to get your pool ready for winter, plus some additional supplies. In-Ground kits include the Arctic Armor Winter Cover of your choice, Water Tubes, and Chlorine or Chlorine-Free Chemical Kits. Above-Ground kits include the Arctic Armor Winter Cover of your choice, an Air Pillow, and Cover Seal. Choose from Arctic Armor Winter Covers with warranties of 8, 12, 15, or 20 Years. Best Winterizing Kits include the basic items to get your pool ready for winter, plus additional supplies to complete your kit. 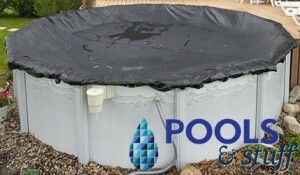 In-Ground kits include the Arctic Armor Winter Cover of your choice, Water Tubes, Chlorine or Chlorine-Free Chemical Kit, a Leaf Net, and a Cover Pump. Above-Ground kits include the Arctic Armor Winter Cover of your choice, an Air Pillow, Cover Seal, Chlorine or Chlorine-Free Chemical Kit, and a Skimmer Plug. Choose from Arctic Armor Winter Covers with warranties of 8, 12, 15, or 20 Years. Includes Arctic Armor Rugged Mesh Winter Cover (8 Year Warranty) and a 4'x4' Air Pillow. Includes Arctic Armor Gold Cover (15 Year Warranty) and Water Tubes. 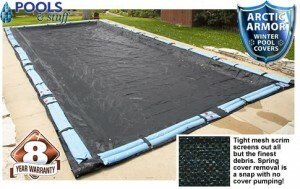 Includes Arctic Armor Gorilla Cover (20 Year Warranty) and Water Tubes. Includes Arctic Armor Rugged Mesh Winter Cover (8 Year Warranty) and Water Tubes. 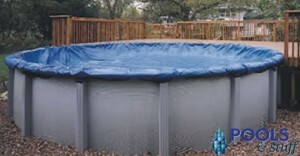 Includes Arctic Armor Bronze Cover (8 Year Warranty), a 4'x4' Air Pillow, and Winter Cover Seal. Includes Arctic Armor Silver Cover (12 Year Warranty), a 4'x4' Air Pillow, and Winter Cover Seal.